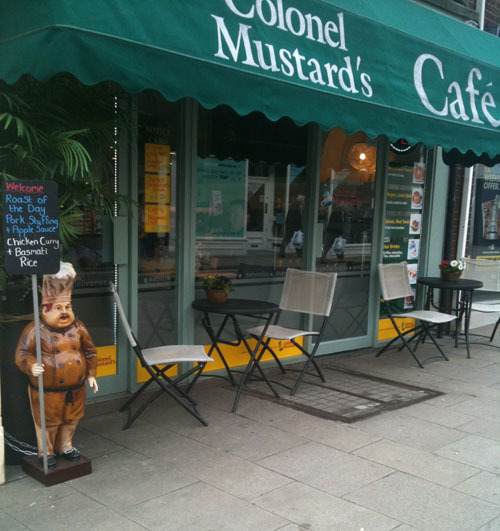 Colonel Mustard’s is based in Uttoxeter Staffordshire, and was established in 2004 as a cafe which serves fresh bean coffee and home made cakes as well as a wide selection of hot and cold sandwiches, salads, daily specials and hot carvery all to eat in or take away. I am running a stag do in Yeaveley on the first may bank holiday weekend, I would like to arrange for breakfast (bacon sarnies etc) to be delivered to our campsite at the Yeaveley Estate, would you cater for this and if so please advise costs? I have passed your request onto Sia who will email you back to discuss your requirements.